So you liked Methaforming, too! You are in good company. Large and small oil refiners and gasoline blenders from around the world appreciate the versatility of Methaforming and its many applications, from mainstream to outright exotic. Our engineers enjoy helping both established and emerging oil refiners to fine-tune the technology to their unique needs. Using your data on detailed composition of proposed feed, we will model the yields and composition of the product stream. As a rule, within a week. We will run your proposed feed(s) on our test reactor to obtain actual future yields from a Methaformer, and will write a report about the resulting yields and economics. You are invited to witness all or any part of the pilot plant testing. $ 10k for 5 tests and a report. Depends on number of samples, usually within four weeks from getting the feed in our lab. 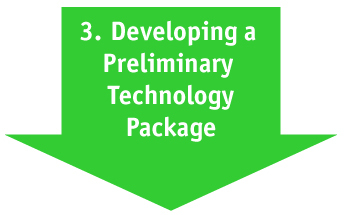 Using your information about the proposed location, infrastructure and the adjacent equipment of the site, knowing the feed and the yields, we will develop a preliminary technology package (PTP), ready for your preferred engineering partner. Depends on capacity and location. To be discussed. We may even have a ready PTP that would suit your needs with minimal changes. Please write to us using the form below. We respond within 24 hours. Please give as much detail as possible, e.g. PONA composition, sulfur content, boiling range, origin of the feed. If you have in mind both the intended main feed (e.g. naphtha) and a specific modifier feed (e.g. methanol), please provide information on both feeds. Thank you! Our engineers will look at your information first thing in the morning. You should expect to hear from us within a week.